I made these signs for my 7 yr old kiddo that has Aspergers. He tends to over feel in situations and his para's tone of voice tends to send him into defiance mode. I created these as a visual to help cut back on the emotion when trying to direct him to do something. The teacher laminated them and they lay one on his desk when needed. They work so well that the teacher started using them with other kids in his class. 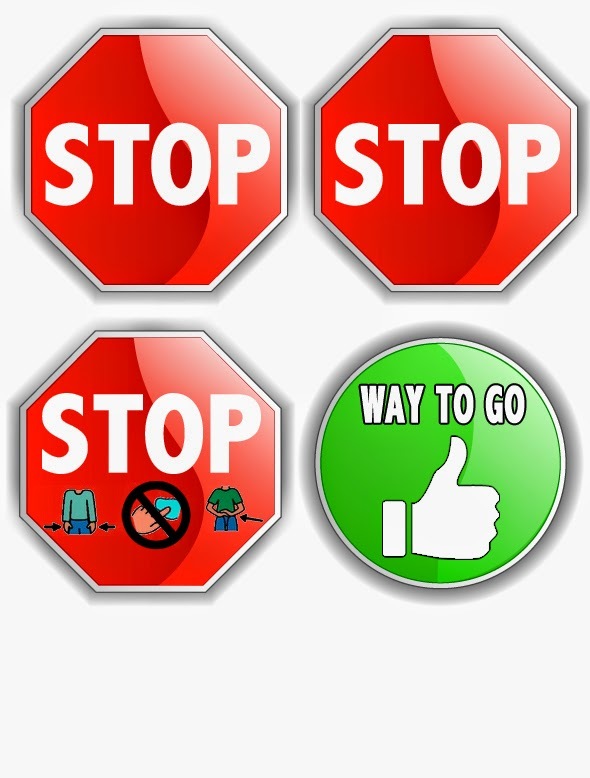 I know they are working when my son comes home and says mom I didn't get any stop signs today and I had 3 way to goes. Success! 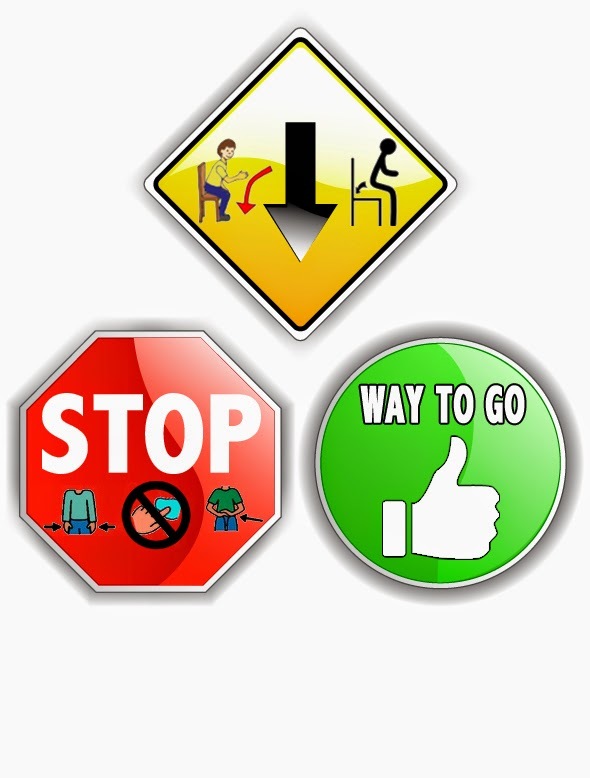 The signs include a stop sign, a way to go sign, and specific signs for staying in his seat and keeping his hands to himself. Please feel free to use them. The original freeware vector signs were created by Vectoriano. I just adjusted them to fit our needs. These are intended for non profit or personal use only.